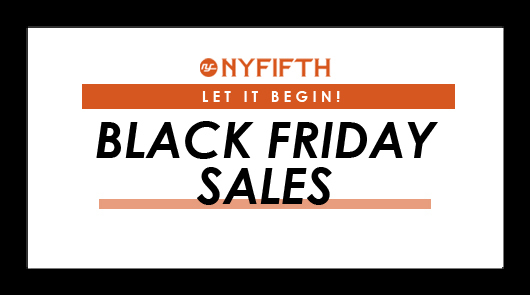 NYFifth’s Black Friday 2018 Deals! Get your holiday shopping done early at NYFifth’s Black Friday 2018 Sale! Starting today until 11/26, get an extra 5% off your entire purchase when you apply our Black Friday coupon code: NYBLACKFRIDAY at checkout! Receive free shipping on all orders over $200. This coupon does not apply to shipping, taxes and other non-merchandise fees. We also have other coupon code NYWNT10 — until 11/30, get 10% off popular brand names like Port Authority, Sport-Tek, Storm Creek, Charles River, Cutter&Buck and Stormtech; or get 15% off your imprint purchase for the following brands by 12/31: Nike Golf, Eddie Bauer, The North Face, New Era and OGIO. Next PostNYFifth’s Black Friday & Cyber Monday 2018 Sales!